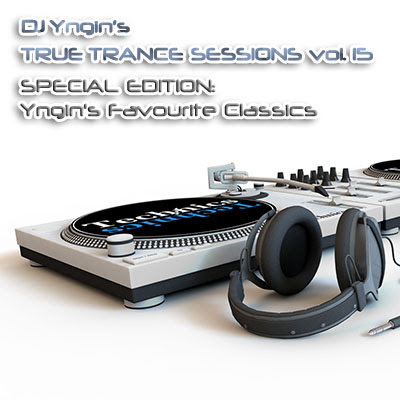 We have reached volume 15, which calls for another Special Edition: Yngin's personal all-time favourite trance classics. Featuring tunes from Solar Stone, Armin van Buuren, Dutch Force, Plastic Boy, DuMonde and more! Enjoy Yngin's 13 most favourite trance tracks, mixed together to a 97 minute long, epic liveset - by far the longest TTS to date. Just like a normal True Trance Session, this volume also has 13 tracks and generally increase intensity and BPM throughout the set. The difference is that this time it's not filled with the newest trance hits and new remakes - this time it's all classics!